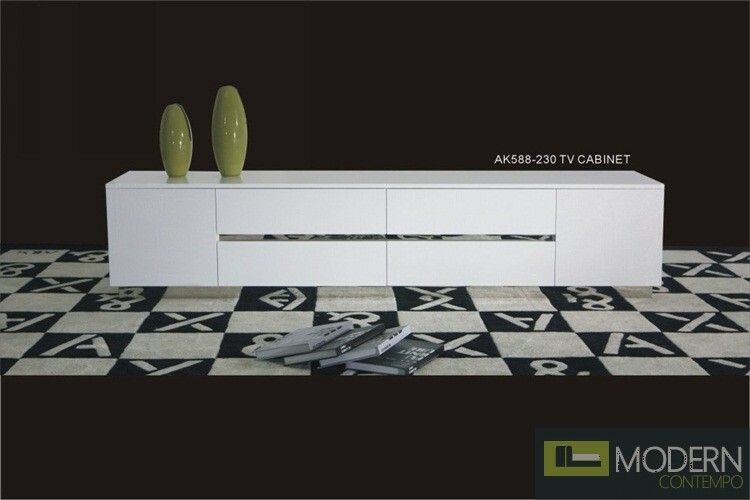 Modern Lacquer TV stand with crocodile texture. By Armani Xavira. Comes in your choice of white and black. The bottom of the TV Stand is not mirrored.